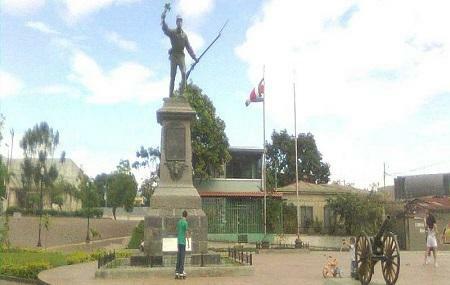 The Juan Santamaría Park is popularly known for housing the set of sculpture which honours the national hero, Juan Santamaría who was born in the city. The bronze statue stands tall over a pedestal and is flanked by cannons. Other than the statue, the park also has a playground and organises many events all throughout the year. Juan Santamaría Park is very well-maintained and upon visiting, you would be able to admire the statue and get to know a bit more about the national hero. Lively area. People are very nice. Good police presence for security.